Jackson County is located approximately one hour west of Asheville, North Carolina, and is the centerpiece of the Blue Ridge and Great Smoky Mountain ranges. The area is easily accessed via Hwy. 441 to the north and south, and from Interstate 40 and Hwy. 23/74 from the east. Within a 150 mile radius you'll find the urban areas of Charlotte, NC, Greenville/Spartanburg, SC, Atlanta, GA, and Chattanooga, Knoxville, and Johnson City, TN. Each of these cities is between 1.5 and 3 hours in driving time. 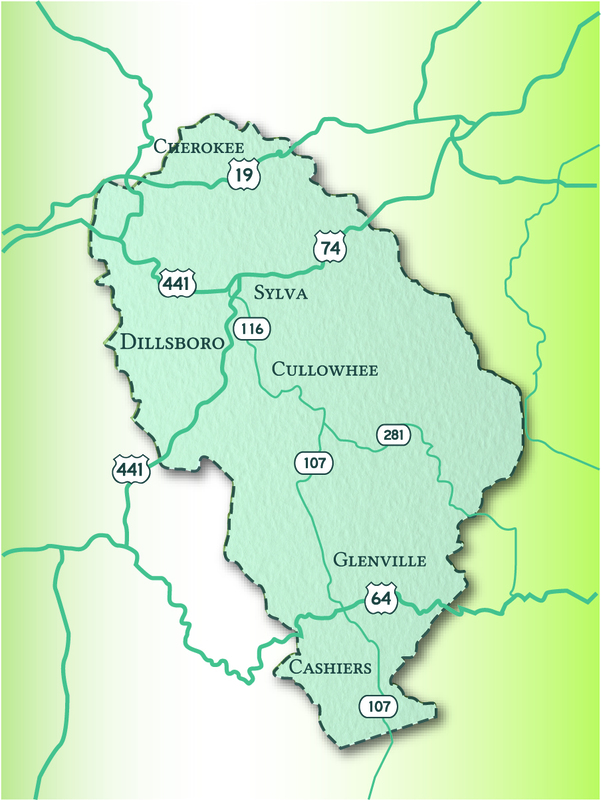 The county has four incorporated towns (Dillsboro, Sylva, Webster, and Forest Hills) along with several bustling unincorporated townships like Cashiers, Cullowhee, and Whittier. In addition, a portion of the Qualla Boundary, home of the Eastern Band of Cherokee Indians, lies within the confines of Jackson County's border. Our tallest mountain peaks rise well above 6,000 feet, and includes more than 185 named summits and over 200 named rivers and streams. Our elevation change between the valley floors at 2,000 feet and those soaring peaks provides for dramatic scenery, unparalleled outdoor recreation, and provides a backdrop for cultural and economic engagement. Jackson County is home to more than 50,000 acres of protected public forestland, with another 207,000 acres of private working forests. The mountains, rivers, and streams protect more than 55 endangered species in three state parks, along the Blue Ridge Parkway, and in the Great Smoky Mountains National Park. Recreational and outdoor tourism accounts for $163 million in economic impact each year, ranking Jackson County 26th among all 100 counties in North Carolina in that statistical category. 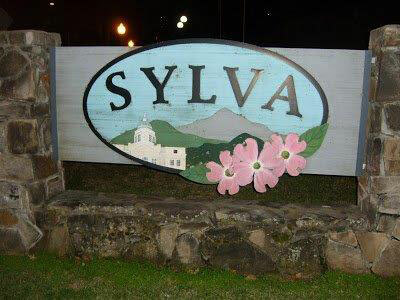 Sylva, the county seat, is the commercial services and governmental hub of the county. Its central location provides ease of access and a welcoming charm for residents and visitors. This picturesque small town exhibits the strong sense of community that abounds in Jackson County, all while providing a glimpse of the economic opportunity of the region. Dillsboro has long maintained its presence as a destination for the arts and crafts purists, displaying an old-fashioned charm that is a draw for both locals and visitors alike. The town's central location at the crossroads of Highway's 441 and 74 boast a wealth of diverse restaurants, shops, and river/recreational adventures. 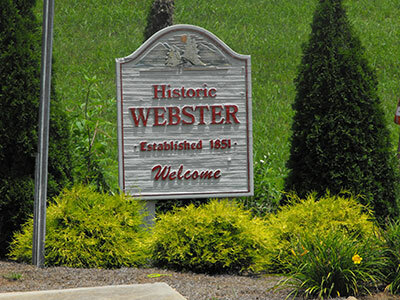 Webster, and the Village of Forest Hills, are both thriving, residential communities that provide serene settings for the working residents of Jackson County and surrounding areas. Both communities are meticulous in their planning and community involvement efforts, ensuring that the sense of quality of place is first and foremost. 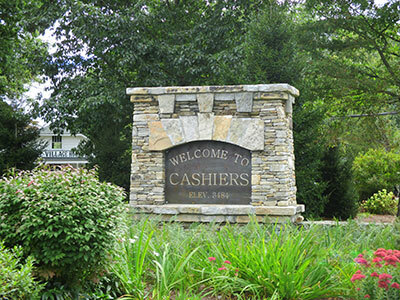 Cashiers is located at the Southern tip of Jackson County and is situated on the highest plateau in the Blue Ridge Mountains. Its unique geography has long been a draw for second home or retirement enthusiasts who enjoy golf, croquet, tennis, and various outdoor activities. The quiet village offers world-class accommodations, great restaurants, and unique shopping experiences. 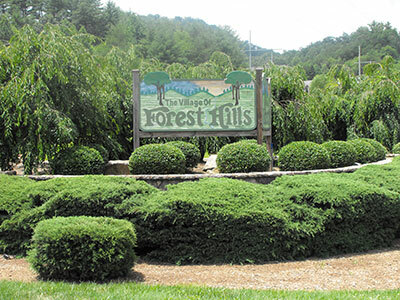 Tourists flock to the area in the summer months, as the town's high elevation provides some welcomed relief from the heat of the valleys and flatlands below. A portion of the Qualla Boundary and Cherokee Indian Reservation lies within the northern-most borders of Jackson County, and is truly the gateway to the Great Smoky Mountains National Park and Blue Ridge Parkway. The town of Cherokee boasts a world-class gaming and entertainment facility in Harrah's Cherokee Casino & Resort, as well as numerous cultural and recreational opportunities for millions of tourists who visit each year.